It's odd to get an Angry Video Game Nerd review of Earthbound but after watching it i'm glad he made this. It's not too far into the review where he does admit that this might be one of the best Super Nintendo games of all time. I also like that he critiques some of Earthbound's lesser features such as not being able to buy multiple items and the amount you are punished for dying. The death punishment can be circumvented with a SNES Classic save state but if you are playing it the way the original creators intended you can spend 30 minutes backtracking to bring your party back. It's a great review of Earthbound but my only warning is that if you haven't played the game... Read All It's odd to get an Angry Video Game Nerd review of Earthbound but after watching it i'm glad he made this. It's not too far into the review where he does admit that this might be one of the best Super Nintendo games of all time. I also like that he critiques some of Earthbound's lesser features such as not being able to buy multiple items and the amount you are punished for dying. The death punishment can be circumvented with a SNES Classic save state but if you are playing it the way the original creators intended you can spend 30 minutes backtracking to bring your party back. It's a great review of Earthbound but my only warning is that if you haven't played the game and plan on it at some point his review contains a lot of spoilers. I wish I could get into this game, it sounds like such a fun trip. But, I just can't get past the beginning story. Maybe because it's set it modern time, but the "You're the chosen one" story just really fell flat to me. But, after watching this video, I'm glad I got to see at least some of the trip! Adam. Your the chosen one... to PLAY EARTHBOUND! Lol, I'm just going to have to force myself at some point. The US release Super Nintendo Classic trailer has gone up and this retro feast confirms many details that were in the Japanese Famicom Classic trailer. Live rewind & game borders are coming to the Super Nintendo Classic. Last night pre-orders went up on Amazon and Best Buy and sold out quickly. Many were happy to secure one but many were sleeping, including myself. Hopefully the rest of the pre-order sites go live today and there is a brief window where I can pick on up. https://www.nintendo.com/super-nes-classic... Read All The US release Super Nintendo Classic trailer has gone up and this retro feast confirms many details that were in the Japanese Famicom Classic trailer. Live rewind & game borders are coming to the Super Nintendo Classic. Last night pre-orders went up on Amazon and Best Buy and sold out quickly. Many were happy to secure one but many were sleeping, including myself. Hopefully the rest of the pre-order sites go live today and there is a brief window where I can pick on up. Just saw an email that it was in stock at Walmart... went to check and they're sold out. Looks like they are selling out in around 30 seconds. Yep. I've a had a few in my virtual hands and then click buy either killed the site or it was snatched away by Gremlins. I thought I had one at gamestop but the site crashed. Right. I think the only options we have now are ... getting lucky to find one in a store. There's hope. Let's see if Walmart sends me an email in a couple days saying "Ooooohhh sorry. We shouldn't have sold you that." So how comfortable do you feel today? I got an email that there had been a change in my order and freaked out a bit, but it was just a release date change. What was the change? I haven't seen that email yet. Did you order me one? Sorry, I only ordered 50. 49 of those are saved for EBay! J/k I think Walmart just allowed pre ordering one. You have to pay for your kid's college somehow. The Super Nintendo Classic Is Coming September 29th! Today Nintendo announced the Super Nintendo Classic, the follow up to last years NES Classic mega-hit you couldn't actually buy in stores due to it's crazy popularity. The Super Nintendo Classic will retail for $79.99 and feature 21 classic games such as Contra III, Donkey Kong Country, Earthbound, Final Fantasy VI, F-Zero, Kirby Super Star, Kirby's Dream Course, The Legend of Zelda: A Link to the Past, Mega Man X, Secret of Mana, Star Fox, Star Fox 2 (previously unreleased), Street Fighter II Turbo: Hyper Fighting, Super Castlevania IV, Super Ghouls & Ghosts, Super Mario Kart, Super Mario RPG, Super Mario World, Super Metroid, Super Punch-Out & Yoshi's... Read All Today Nintendo announced the Super Nintendo Classic, the follow up to last years NES Classic mega-hit you couldn't actually buy in stores due to it's crazy popularity. 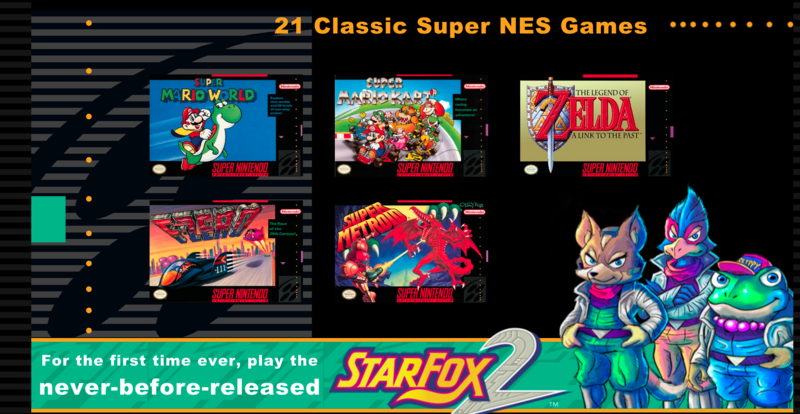 The Super Nintendo Classic will retail for $79.99 and feature 21 classic games such as Contra III, Donkey Kong Country, Earthbound, Final Fantasy VI, F-Zero, Kirby Super Star, Kirby's Dream Course, The Legend of Zelda: A Link to the Past, Mega Man X, Secret of Mana, Star Fox, Star Fox 2 (previously unreleased), Street Fighter II Turbo: Hyper Fighting, Super Castlevania IV, Super Ghouls & Ghosts, Super Mario Kart, Super Mario RPG, Super Mario World, Super Metroid, Super Punch-Out & Yoshi's Island. "We aren't providing specific numbers but we will significantly more units of the Super NES Classic Edition than we did of NES Classic Edition." I'd certainly love to open one of these under my Christmas tree this year and will immediately buy one if I can get the chance to but i'm not counting on being able to find one reasonably. With the included lineup and ultra low price I think this will be more popular than the NES Classic and be even harder to find because Nintendo won't continue to make them after 2017. I am already selling 5 on eBay. Man, we've been on the same page lately. I was thinking about posting something about this, since I just read about it. It seems there are some really good SNES games getting left out such as FFII and Chrono Trigger. I still kind of wish I was able to get a NES Classic. I'd like to get this one, too. I saw something that said a N64 Classic could be next. The N64 Classic would be a logical step but it's all speculation at this point. I hope they do. If they keep this up we should get the Switch Classic in 2022! I did get the NES Classic for Christmas, and honestly, it was fun for a couple weeks, then I forgot about it. The SNES Classic game line up is super tempting though... but I'll probably pass on getting this one. > I did get the NES Classic for Christmas, and honestly, it was fun for a couple weeks, then I forgot about it. I am ready to adopt this system you have to give it a loving home. I have other classic systems it will be able to play with and I imagine they will have adventures Toy Story style when I am not looking. > If they keep this up we should get the Switch Classic in 2022! By then I think i'll be ready to buy one. "Star Fox 2 Programmer Is Surprised And Thrilled The Game Is Finally Coming Out"
"No crying until the ending. Guaranteed masterpiece. MOTHER is finally complete." "No crying until the ending. Guaranteed masterpiece. MOTHER is finally complete." Would The Box Art and Description Convince You? Aaron of RetroLiberty posted an interesting video called "Earthbound Convinced." The premise is that Aaron reads off the text on the Earthbound box and shows off some of the game art and then asks if that was enough to convince you to buy it. It's not quite fair as Aaron's video is well cut and is more than simply reading off the box art but it does showcase what little information we had to go off to make choices as kids. That said, I had Nintendo Power and they did a great job hyping up whatever video games Nintendo wanted us to buy at the time, Earthbound included. Earthbound, were you convinced? Aaron of RetroLiberty posted an interesting video called "Earthbound Convinced." The premise is that Aaron reads off the text on the Earthbound box and shows off some of the game art and then asks if that was enough to convince you to buy it. It's not quite fair as Aaron's video is well cut and is more than simply reading off the box art but it does showcase what little information we had to go off to make choices as kids. That said, I had Nintendo Power and they did a great job hyping up whatever video games Nintendo wanted us to buy at the time, Earthbound included. The intro to the video says the premise of the series is on whether or not you would rent a game, based on the box art and text alone. If that's the case, then, yes, that would be enough to convince me. I don't think there was ever any point that I would purchase a new game (any game) outright, just by reading about it and looking at the cover, unless it was less than $10. That's what makes games such a weird entertainment medium. The cost of entry is so high, and most of the time you feel like you have to take leaps of faith just to purchase a game. Movies, books, music are all cheap in comparison, and can get away one-shots or a paragraph of text to convince someone to, say, drop $10 to sit in a theater for 2 hours. One trailer for The Matrix, showing the bullet-time effect, was all I needed to see to say "I want to go to there." The games industry hasn't been fond of rentals, or used games, and barely makes room for demos, which is one reason why Let's Play is so popular now, which seems to be gaining in favor, even among devs (or, at least, console makers). In fact, most commercials/trailers for games don't show much in the way of gameplay to any great extent. This has been something gamers have been used to seeing for decades, with either live action or CG animation taking precedent, especially in the older generations of games. So, anyway, yeah. I'd rent just about anything with as little as a "hey, you should check this out." Purchasing, on the other hand, takes a bit more convincing. Ah good point on the rental part. There were a few times I bought a game off the shelf based on the box and sometimes it was OK but most time it was terrible, looking at you Ultraman! For years, Earthbound has been a huge blemish on my "gaming wall of shame." As I have been playing Far Cry 3 I have wanted to play something with a less serious tone so I started Earthbound. Earthbound is a retro RPG that has a pretty interesting history and fan community. 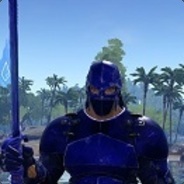 This post isn't a primer on that history or community, but a few thoughts on the game itself and how well it holds up today. 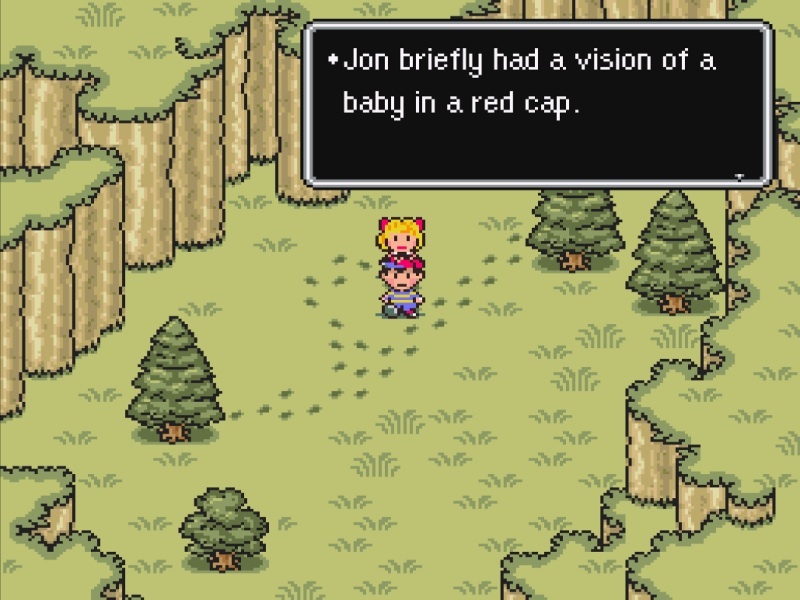 Since I don't have the "warm fuzzies" of Earthbound nostalgia love, I think my perspective is interesting. Many times i've tried to head back into older titles and haven't loved the result. Some games from the NES or SNES era don't hold up as well as others and that's... Read All For years, Earthbound has been a huge blemish on my "gaming wall of shame." As I have been playing Far Cry 3 I have wanted to play something with a less serious tone so I started Earthbound. Earthbound is a retro RPG that has a pretty interesting history and fan community. This post isn't a primer on that history or community, but a few thoughts on the game itself and how well it holds up today. Since I don't have the "warm fuzzies" of Earthbound nostalgia love, I think my perspective is interesting. Many times i've tried to head back into older titles and haven't loved the result. Some games from the NES or SNES era don't hold up as well as others and that's disappointing to experience. That said, Earthbound moves beyond all that as it holds up really well now. From the initial screen, to the first parts discovering your mission, Earthbound weaves interesting story telling with superb art and music. Since Earthbound came out after the Super Nintendo was established the game reflects this by providing a really polished experience. 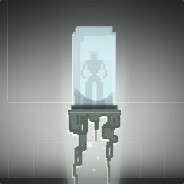 If you haven't played the game and are looking to check it out, I recommend you do. You can pick it up on the Wii, Wii U, Gameboy Advance or Super Nintendo. Each version is basically the same, but some alterations were made from the initial Super Nintendo version to accommodate the platform. Oh and by an awesome set of circumstances, Nintendo has decided to post the entire Nintendo Power Earthbound guide online, for free. Oh and checkout STARMEN.NET, an awesome community of Earthbound and Mother fans. Someday I need to get around to playing this as well. Yeah, it's been fun as I've been playing it for the last few weeks. It's a nice change of pace from more "serious games." Earthbound in 3D looks amazing! I loved the original pixel art style of the original Earthbound, but I would play the hell out of a 3D remake if it looked this good! 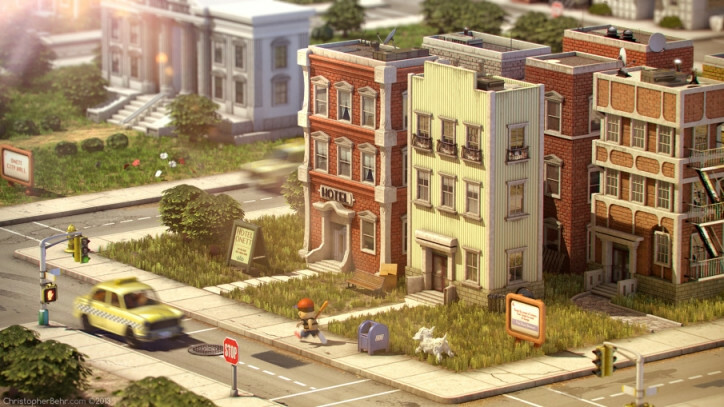 3D designer Christopher Behr did an amazing job recreating Earthbounds starting town, Onett. More (and bigger) pictures can be found at: http://www.christopherbehr.com/Onett I loved the original pixel art style of the original Earthbound, but I would play the hell out of a 3D remake if it looked this good! We Now Support Embedded Podcasts! Since we have a few Podcasters on Cheerful Ghost I decided to spend a bit working on support embedding Podcasts into posts. Basically for any browser that supports HTML5 you can put the URL to your podcast mp3 and it will embed right in the post now. Most browsers support it and for the ones that don't we have the "Download podcast" fallback link. Should work on Safari, Chrome, iPhone, iPad, Android & IE9. Let me know if you run into any quirks. The linked podcast is Watch out For Fireballs Episode 25: EarthBound (Part 1). http://duckfeed.tv/woff/25 Since we have a few Podcasters on Cheerful Ghost I decided to spend a bit working on support embedding Podcasts into posts. Basically for any browser that supports HTML5 you can put the URL to your podcast mp3 and it will embed right in the post now. Most browsers support it and for the ones that don't we have the "Download podcast" fallback link. Neat! I'll do some post-posts. In one of those totally odd and awesome moments I present to you a video I found from The Gourmet Gamer. In this Episode the Gourmet Gamer makes the peanut cheese bars from the game. He also shares the recipe for all of you that will be making some this weekend. Your welcome. In one of those totally odd and awesome moments I present to you a video I found from The Gourmet Gamer. In this Episode the Gourmet Gamer makes the peanut cheese bars from the game. He also shares the recipe for all of you that will be making some this weekend.